Latvia is a baltic country, EU member state and a member of Schengen area. Latvia offers golden visa (residence) to foreign investors who invest more than 50,000 euros in the economy. Family members also qualify for temporary residence permits in Latvia. The Latvian golden visa scheme came into existence in 2010 and since then over 10,000 golden visas have been issued. Latvia has the cheapest golden visa scheme in Europe with a minimum investment. Business route and bond option are the most popular options. No physical presence requirement specified (requirements only specified for those who apply for a permanent status). Temporary residence for a maximum of 5 years. Those who hold a residency permit issued in Latvia are allowed to circulate freely in the Schengen area for up to 90 total days in a 180-day period. Latvian residents are liable for personal income tax (PIT) on their worldwide income. Personal income tax rate at 23 %. Dividends received by individuals are taxed at 10 %. Capital gains on disposal of capital assets (e.g. property, shares) are taxed at 15 %. The following investment options to receive a golden visa in Latvia which offers investment options in real estate , business and guaranteed government stocks. 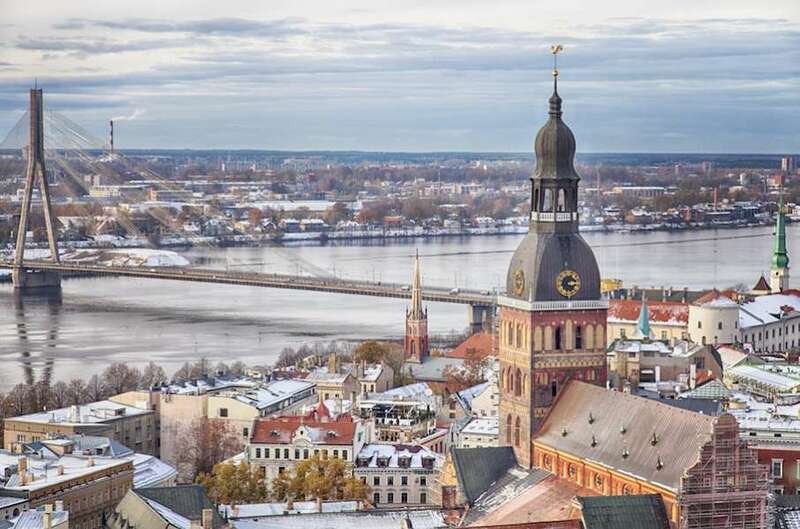 In Latvia, tighter background checks were introduced in 2014 following a flood of applications for its RBI scheme that unveiled information leading to an increase in refusals – and even revocation of some permits already granted. The reasons given were the risk of spying and risk to economic security (as many of the applicants could not prove the origin and the legality of their money). Applicants are screened by the competent authorities. More serious concerns about an individual’s background are handled by the security police. The impact of the Latvian golden visa scheme ‘on the real property market of Latvia was significant. In some regions of Latvia, the share of real property transactions in which foreigners were involved reached more than 50%. After 9 years of legally living and integrating to culture and language of Latvia. Latvia allows dual citizenship in certain cases and has the 11th powerful european passport in the world.